Hi there! It’s Megan from Homemade Ginger again. 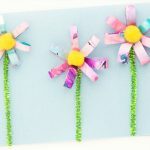 I’m excited to share a cheerful and springy craft today! Easter is a tricky holiday to decorate for, if you ask me. Where I live, it is usually cold and dreary on this holiday that is associated with spring. It’s hard to get into the spring mood when there is often snow on the ground outside. In fact, my 4 year old daughter loved helping with this particular craft because she had to dig through snow to find branches to paint! But that is one reason why I love crafts like this. It’s so simple to make and it adds such a cheerful vibe to your space no matter what the weather is outside. 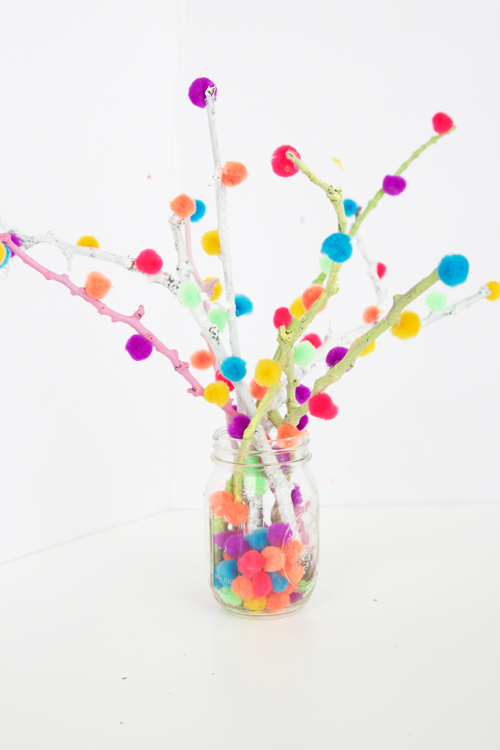 These pom pom branches can be put in a vase or jar and it makes the perfect Easter centerpiece. Keep it up all spring and it will cheer up any room in the house. Kids will love hunting for the perfect branches to paint and it always looks adorable, no matter what. 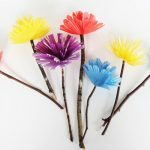 I just love anything with pom poms, but this might be one of the cutest ways to craft with them if you ask me! 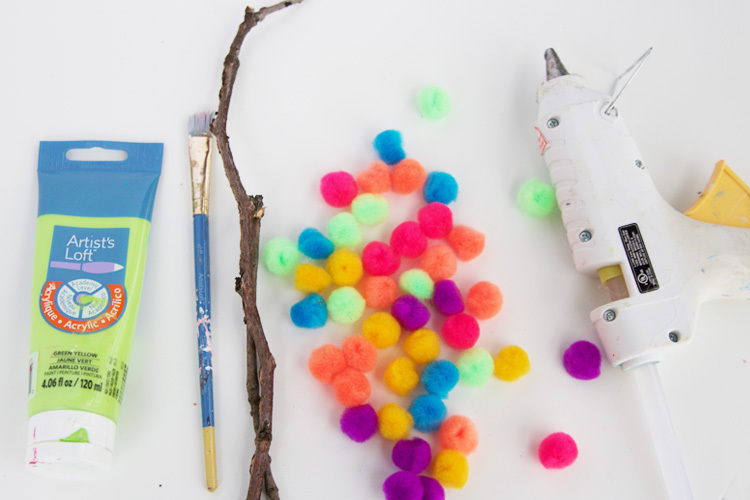 Grab some branches, bright colored pom poms and paint to create these adorable pom pom branches, perfect for spring! I loved these pom pom Christmas branches but I wanted to make a version that could work for Easter. 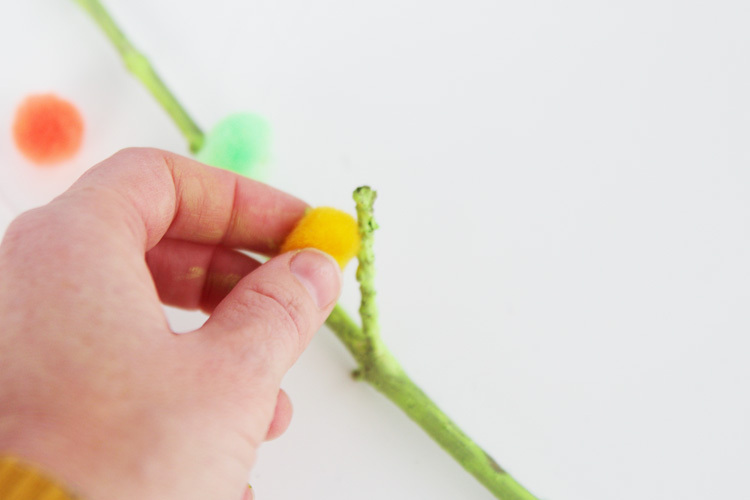 Begin by finding some interesting branches and give them a coat of paint. You can do bright colors, white or a mixture of both! 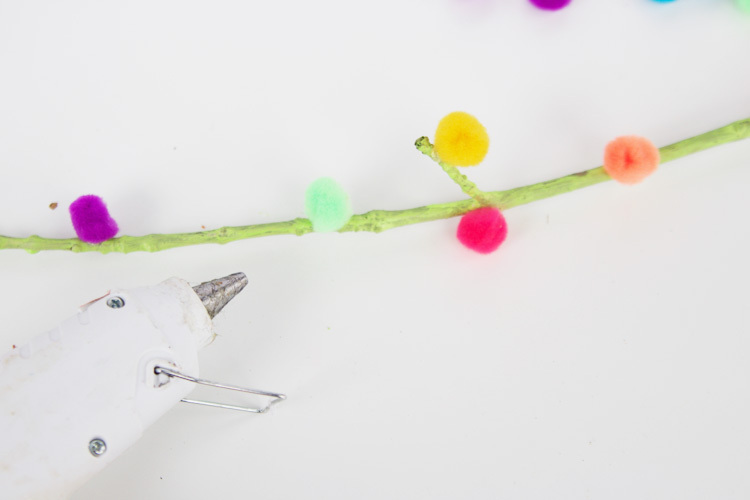 Allow the paint to dry and then add pom poms all along the branch. You can use a glue gun or regular white school glue to do this part. 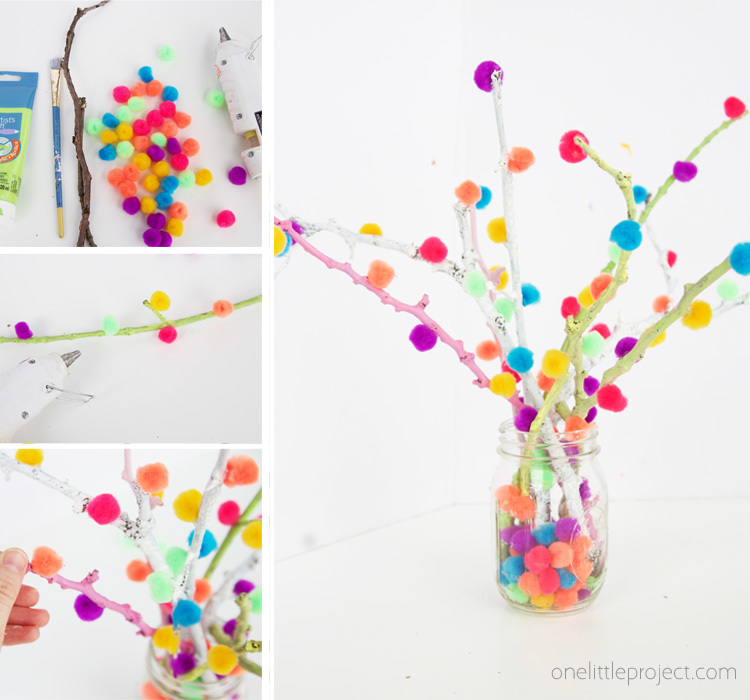 Make a bunch of branches and place the in a vase or jar for a colorful bouquet! 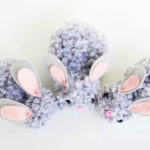 This craft is one of the cutest things you will ever make! It’s the perfect way to bring spring into your home! 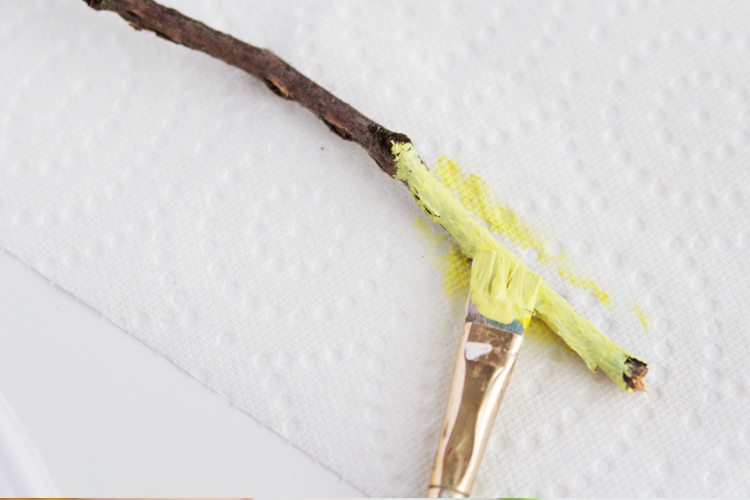 Begin by gathering branches and painting them bright colors, white or a mixture of the two. 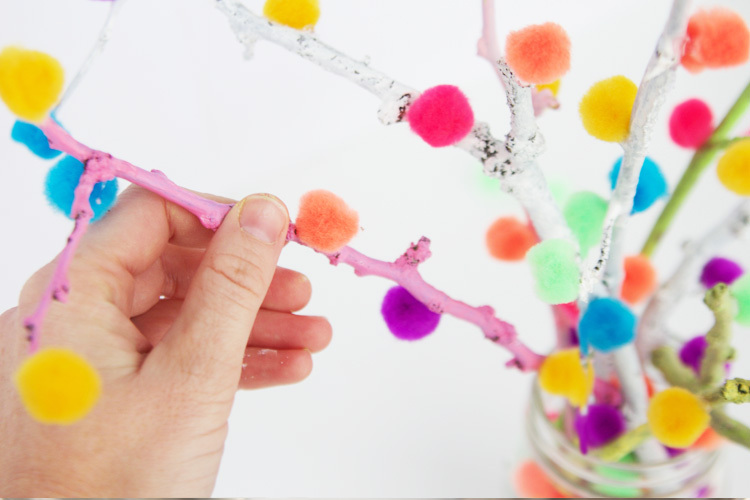 Once the paint has dried, glue pom poms all along the branches. 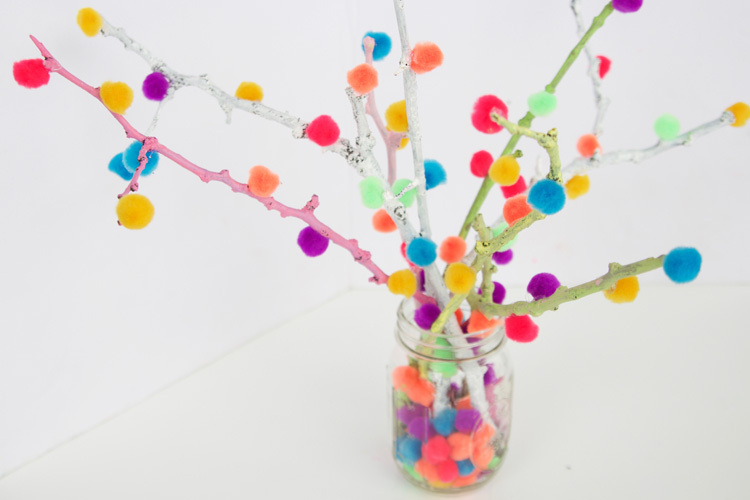 These pom pom branches are SO adorable and couldn’t be easier to make. 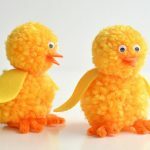 What a perfect spring or Easter craft for kids to make!